Increased incidence of water shortages and drought, this year in California, has brought water resource management, use and conservation, along with climate change, to the fore of the public mind and agenda. Looking to raise awareness, promote water conservation and foster more efficient use of freshwater resources, the Environmental Protection Agency’s (EPA) WaterSense program this week is joining with a host of partners to celebrate Fix-A-Leak Week. The amount of water going to waste in U.S. households every year due to leaks that are easy to fix is extraordinary: more than one trillion gallons, enough to supply 11 million average homes for one year, according to the EPA. 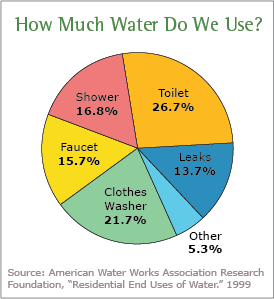 Leaky faucets, shower heads and worn toilet flappers in the average American household alone result in over 10,000 gallons of wasted water annually, an amount sufficient to wash 270 loads of laundry. Fortunately, fixing such leaks is simple, inexpensive and doesn’t take much time. Taking a few straightforward steps to fix leaks can also result in substantial savings, not only savings on water bills, but on energy bills as well. Then there are the social and environmental health and safety benefits that result, the EPA highlights. Though water covers some 75 percent of our planet’s surface, that available for human use amounts to just 1 percent. Moreover, U.S. freshwater resources are under stress. According to a Government Accountability Office (GAO) survey of water managers across the country, “at least 36 states were anticipating local, regional, or statewide water shortages by 2013, even under non-drought conditions. Water efficiency is a much more cost-effective tool to help local markets manage water supply issues than developing new sources,” the EPA states on the WaterSense FAQ web page. The average American family uses an amazing 300 gallons of water per day at home, 70 percent of that indoors. 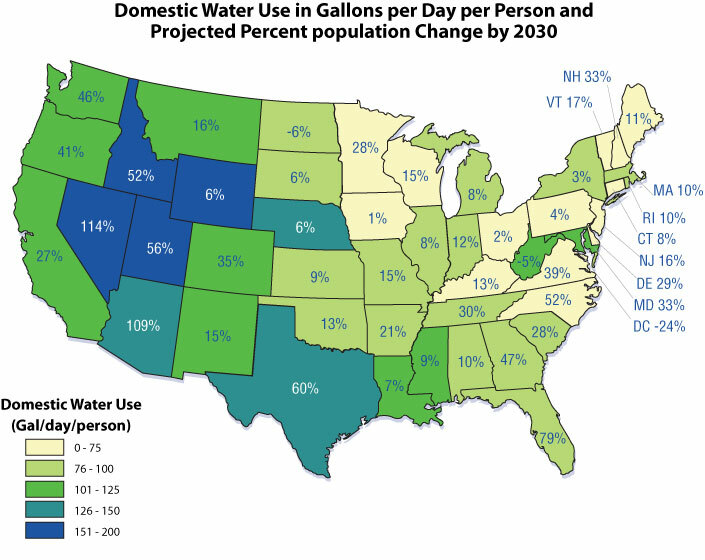 The ratio of indoor-to-outdoor water use varies regionally across the country. Outdoor water use is much higher than 30 percent in drier parts of the country and in areas where water use is more intensive. Some of the highest rates of per capita water use are out in the arid West, for example, as a result of landscape irrigation, the EPA points out. Fortunately, becoming more aware and knowledgeable about water use and conservation, and then taking some simple steps, can yield big benefits. Reading up on and carrying out EPA WateSense’s advice and recommendations on fixing water leaks and ways to use water more efficiently carries numerous and varied benefits, social and economic, as well as environmental, for example. Aiming to foster greater water efficiency, the EPA has also established WaterSense water efficiency standards that provide the basis for independent, third-party certification of water-efficient equipment and household products. Complementing this is the EPA’s EnergyStar energy efficiency standards and certification program for household appliances. Commercial and institutional (17 percent of publicly-supplied water use) and industry (5 percent), as well as U.S. households, are also critically dependent on ample, affordable supplies of freshwater. 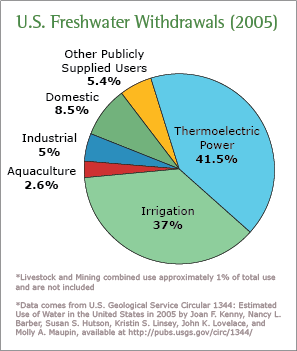 It’s irrigation (37 percent) and thermoelectric power generation (41.5 percent) that account for the largest use of freshwater supplies, however. Then there are the significant and substantial environmental benefits enhancing water efficiency and conservation can bring. 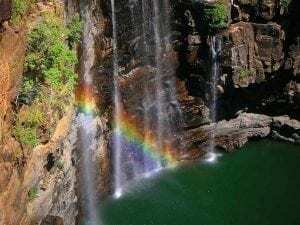 Low reservoir levels and dropping ground water tables raise serious human health and ecological threats besides those of water scarcity, leading to higher concentrations of human and natural pollutants. The EPA’s WaterSense website is a valuable and comprehensive information resource that American commercial, institutional and industrial organizations, as well as households, can tap into to become more aware and knowledgeable about our water resources and water use, as well as steps we can take to raise water conservation and improve water efficiency. From March 17 through March 24, the EPA is joining with public, community and private sector organizations around the country and organizing a variety of events to celebrate water, raise awareness and promote water conservation and efficiency. 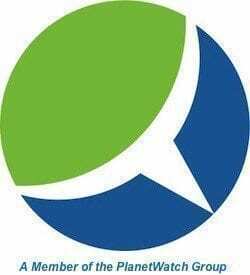 A schedule of events is available on the EPA WaterSense Facebook page.